The camera does not lie. It is objective, and cares not about the slanted views of man and our efforts to protect our self image. At its core ‘The Untitled Work of Paul Shepard’ is about one man’s effort to try and solve the mystery of male/female compatibility. To do this the lead character puts his own relationships at the mercy of the camera and sets out to draw some conclusions through making a film that documents three of his closest past relationships. While watching ‘Paul Shepard’, I compiled three pages of notes. This might suggest that its story presented much thought provoking material to digest. I am suspicious that its was Jeremy Lalonde’s (the real film’s creator) intention to leave us a little on edge along with the protagonist played nicely here by Kris Holden-Ried. Paul Shepard takes us along on his personal journey and in the process of documenting allows us to experience with him the folly of his choices and force us to re-evaluate our own relationships. 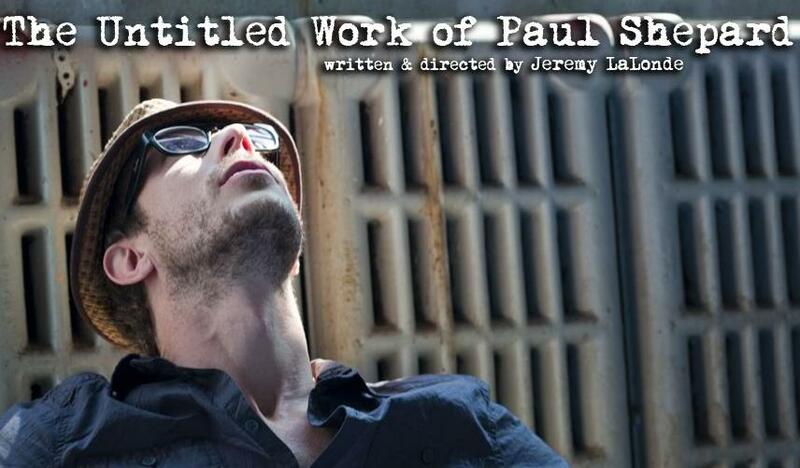 In the process of filming Paul faces his classic man against himself conflict by struggling emotionally with being objective about the film’s story and direction. As all good documentaries bring out a fundamental truth about a subject it could here be argued that the film’s true protagonist is the camera. As without its focused and unbiased view of Paul’s experiences the documentary style and the character’s unfolding journey could not work. As a result the movie works as viewers of this interesting style of filmmaking can identify with its main character and its subject. Of the three women there is clearly only one real person. The other two are female archetypes of Paul’s own questionable personality traits. The viewers and Paul need to determine what is best for their ongoing happiness. Is it the thrill of consorting with women who accentuate our weaker qualities or walk down the more crooked path with the woman that could bring out some of your better ones? I almost always enjoy writer/director films as the director understands best what he wants out of the actors’ performances. In this case for most of the scenes we are seeing this penned drama come to its full fruition before us. There is however a few moments when the dialogue could have been less dramatic and forced, as I believe the director may have been trying too hard to have the actor deliver his work truthfully as written. The production team bring us an experienced crew of actors and a nice look to the movie. I was worried at first that the hand-held feel of the opening scenes would continue throughout the movie. As the story explains however the camera work was at the hands of Paul’s novice teenage nephew Phil. His progressive craftiness over the course of the film was believable and well handled by Zach Melnick the film’s real camera man. I could have done without a few moments and elements in the film. Paul’s mother was a bit over the top and unbelievable and therefore unnecessary, as was the book signing’s close-up interviews that in my eyes failed to move or contribute to the story. In addition some of the clever dialogue between Paul and his exes was at times overly philosophical and unnatural. I understand that Sadie is an intellectual however some of her nattering failed to be direct or deliberate enough to advance the story or her character’s development. These a minor quibbles. Ricky Gervais with BBC’s ‘The Office’ made popular this documentary style of story telling. It was clever and innovative for Jeremy Lalonde to borrow from this and allow his main character to turn the camera on himself as an instrument or the catalyst to invoke hindsight and force him to navigate the mistakes and lost opportunities of his past. There is just a nice mixture of new storytelling, acting and fresh funny dialogue to recommend this film. Now if you want to find out what Paul does with all this self revelation then you will have to watch the movie.